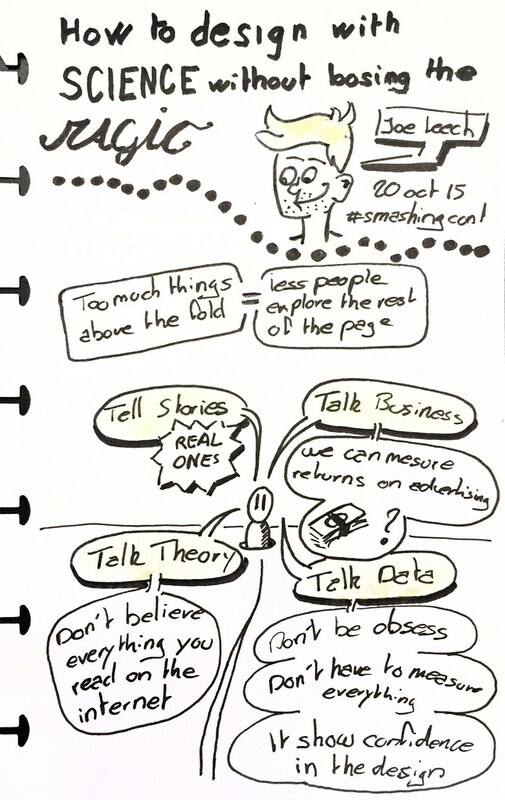 Here’s my sketchnote of Joe Leech talk’s. 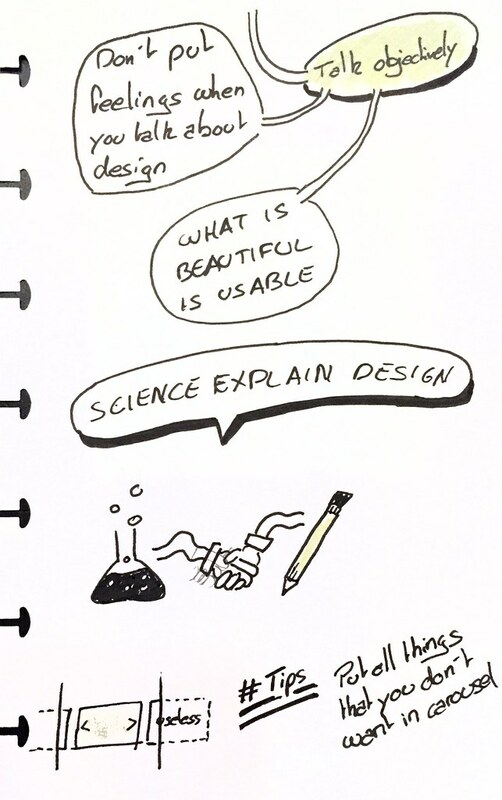 He gives use some tips how to design without loosing the magic. SmashingConf 2015 Barcelona: Joe Leech — How to Design with Science without losing the Magic from Smashing Magazine on Vimeo.